Zapped! Halloween Zap! From Shelterkat!! Discussion in 'Pin Zaps & Swaps' started by SkeleCountry, Sep 28, 2018. I'm truly overjoyed and may or may not be smiling like a loon right now!! 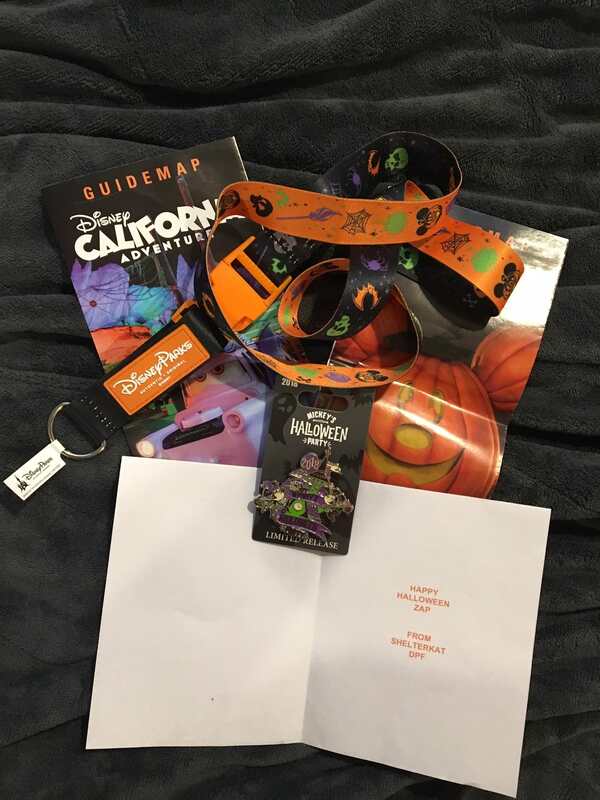 I got the best Halloween surprise today! From DPF's Dawn (@Shelterkat) and I'm so happy/grateful/like a kid in a candy store!! 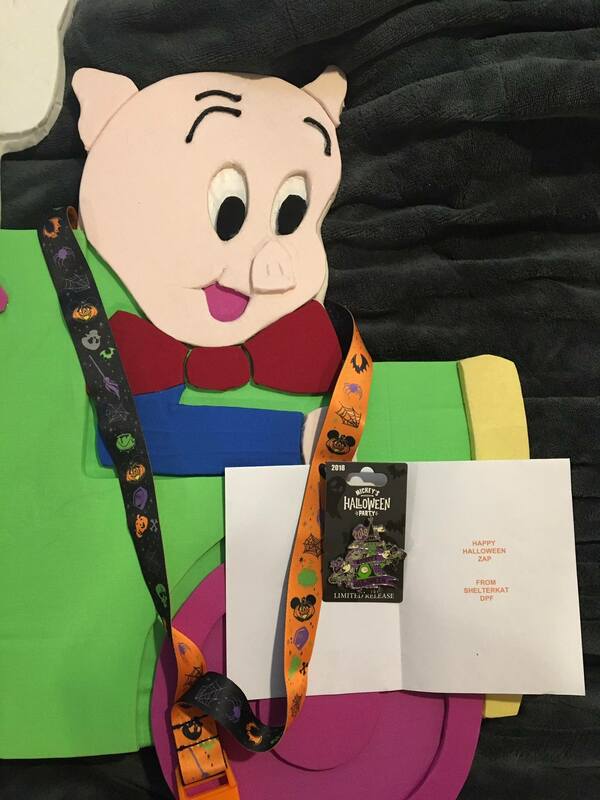 Its' this year's fabulous double sided Halloween lanyard and the M&M Halloween 2018 logo pin!! And the Halloween maps for my smaller mini pin displays!! I can't wait to use the maps mind's already going with ideas!! It's beautiful and wonderful and I just can't say THANK YOU enough! Connies_Hobby, Booger1964, watzshakinbacon and 3 others like this. Dawn is so awesome! Great zap! Congrats! Awesome! Congrats on the zap and happy Halloween!